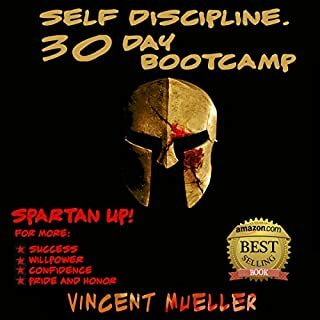 The eight behaviors in this Spartan self-discipline boot camp are designed to inject more motivation, self-esteem, discipline, pride and strength into your life, so you can become the man you've always wanted to be. Proud Xerxes, Emperor of Persia and King of Kings, invades Greece with a million soldiers. He commands thousands of ships and is supported by dozens of allies, among them the charming Queen Artemisia. At Thermopylae, a rocky mountain pass in northern Greece, the feared and admired Spartan soldiers stood 300 strong. Theirs was a suicide mission, to hold the pass against the invading millions of the mighty Persian army. The Spartans. The famous warrior society of ancient Greece. Renowned for their ferocity in battle, rigid self-discipline, and their legendary wit and terseness. These rugged, crimson-clad soldiers knew a lifestyle that few of us today could imagine or endure. 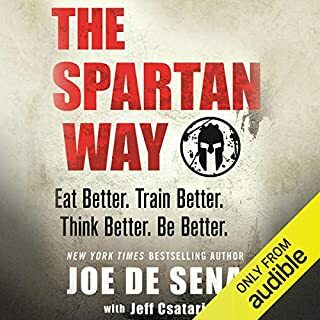 Both Spartan men and woman, from the day they were born, to their often early deaths, constantly trained their bodies and minds to be as hard and immovable as stone. Master self-discipline, willpower, and confidence to take massive action to conquer your dreams and goals! Unleash your inner Spartan! 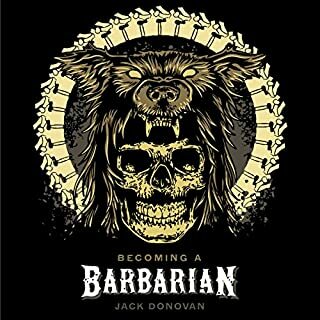 If your are undisciplined and want to gain warrior-like discipline to achieve your goals, this is the book for you! 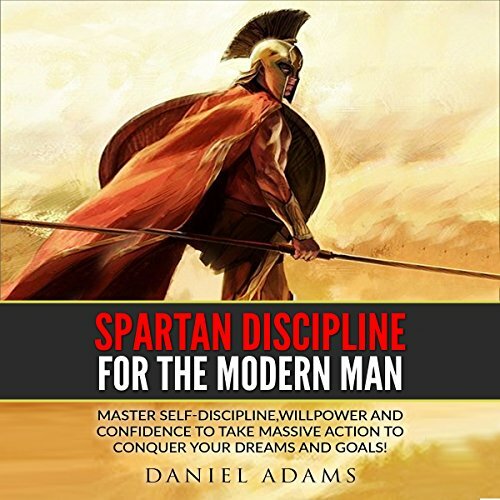 Daniel Adam's Self-Discipline: Spartan Discipline for the Modern Man will teach you power tools to achieve this discipline and crush your goals. How to change your mindset for action. How to eliminate distractions,negativity and temptations that are slowing you down. How to go from hard discipline to being a maintained habit. Don't delay. Download your copy of Self-Discipline: Spartan Discipline for the Modern Man. How to Get Your Ex Back: Get the Guy Fast and Become an Irresistible Woman! This book is nothing new. I was disappointed with the lack of content. Just some generic success advice packaged around "be a spartan". I only give this one star because I was hoping for advise on how to improve my self discipline. The female narrator who turned out to be a high pitched man was a bit of a throw off. 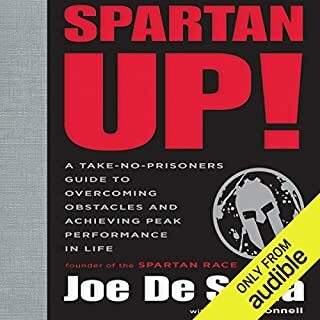 "be your own cheerleader" was entertaining to listen to in a book about Spartans. Laughed pretty hard when it suggested celebrating when youve reached 90% of your goals. If youve got a hour to spend on some comedic joke book I'd recommend this one. So bad its funny. I'm really glad I didn't waste a credit on this. Completely lame. Really cool title. However, it should have been titled Dorks hide to success. The description of the book fell short of exactly what the content was. 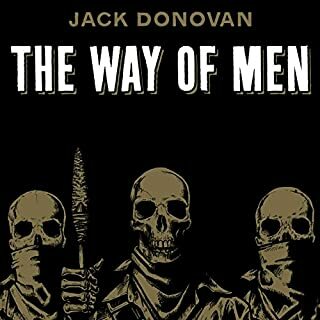 It was, however, descriptive and informative of the time and geopolitical landscape of the age. Frederickburg, Va by way of MO. Short and simple but probably worth kerping around to to listen to a 2nd or third time for motivation to ivrcme specific issues! You would expect some examples of personal Strategies, Some trial and errors, but no. It was boring with no real insight or even a plan. I wouldn’t waste your money find another book. This is a great, simplified overview of what you need to do to become more self disciplined. Many books drone on and on and use stories, statistics and anecdotes to try to reinforce the points they're making and assert their credibility. This book keeps that to a minimum. 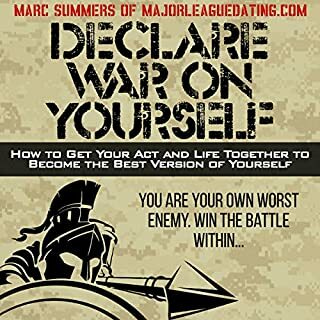 This book just outlines simple history proven common sense facts about life, what being self disciplined gets you, what prevents people from developing it, and simple things you can do to change them. I have encountered many of these topics before, but this is a simple and quick overview I'll relisten to over and over to help reinforce these principles and solidity them in my mind.